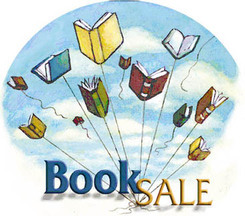 We need volunteers to help the day of the sale, donations of perennials and books (best sellers, children's books, fiction of all kinds, recent nonfiction, cookbooks). The plant and book sale is one of the major ways LWV Duluth raises money to fund its programs and projects so your help is extremely important and very much appreciated. Mark your calendars for our annual plant and book sale Saturday, June 10 from 9 am - 2:00 pm, Mount Royal Fine Foods Parking Lot - 1600 Woodland Ave, Duluth. This sale has been a huge success each year thanks to the many members who have donated plants and books. 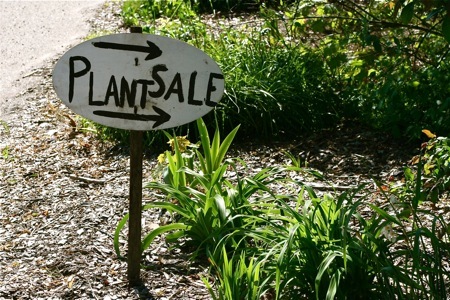 If you are a gardener, please consider dividing your perennials and donate them to our sale. Plants are big sellers, so please remember us with your generous donations. Please label plants, with name, and best growing conditions (sun, shade) and blossom color. Please no lady's mantle. 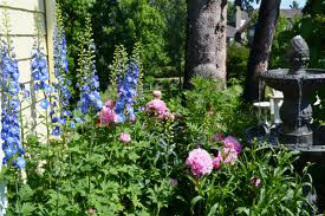 Popular plants include bleeding hearts, astilbe, variegated hostas, coneflowers, rudbeckia, pulmonaria, and baby trees. If you need pots for your plants, some are available at the WLSSD-Materials Recovery Center, 4587 Ridgeview Rd., Duluth--and they are FREE! Plants and books may be dropped off the day of the sale at 8 am.or if you will not be available that day, give Gail a call to make special arrangements.